This week we’re talking about picking good pitch events to go to. First, let’s think about what are the different ways in which we would go to a pitch event. You might be pitching in the pitch event and you might be attending in the pitch event. And both are different reasons to go to an event and different things to get out of it. Let’s definitely think of which one we’re talking about when we’re considering what kinds of pitch events to go to. If we’re going to attend a pitch event it might be very useful to go to a pitch event that we want to pitch in in the future. It might be useful to go to a pitch event that’s highly focused on giving feedback or being interactive in some way. If you’re pitching in a pitch competition maybe we would consider whether or not we want to get funding. So some pitch competitions have a cash price or some other types of prizes that are very valuable for startups. So you want to pitch in those. We want to look at whether a pitch event is in our industry or not, so how much of a good fit we are for a particular pitch event if we’re in that industry may be applying in pitching in that event can be especially helpful. Because the audience will be interested in that particular space then you know you’re going to be a better fit for that particular pitch event. Don’t be applying to women only business pitch event if you’re not a women-owned business. So it kind of makes sense. Think about how many people are going to be attending or whether it’s a well-publicized event. Think about whether the types of people you want to get in front of are going to be there, whether that’s people in your industry or potential investors or potential customers. Really think through these things when you’re choosing a pitch event. I go into some more pitch events here at pitch hacks and specifically what pitching at those pitch events is like. But some big ones that I really like are 1 Million Cups and House of Genius. They’re very different from each other. And so you’ll see another video is what that means. But 1 Million Cups can be a good one. It’s a publicly available one. So anybody from the public can join and attend that pitch event, and can apply to pitch at that pitch event. And it’s very focused on giving feedback and getting feedback from the audience. It can be a really good option for people to learn more about pitching, and about companies, and about running your company. And to sort of stretch out your own skill sets at giving feedback and asking questions of other companies. It’s a really interesting organization and I would definitely check out 1 Million Cups. As with anything that you do or any event that you go to, really think about what you want to get out will be an optimal outcome. And sort of backtrack whether that event is likely to give you that outcome when you’re deciding what pitch events to go to. It can be rather time consuming to go to a lot of different events. And it can also be rather draining emotionally and energetically when you’re preparing to pitch, going up on stage and pitching at pitch events. So don’t just do all the pitch events under the sun as much as you can and as fast as you can. Really be a little bit more selective about it. Do it over time and use your energy wisely. There’s a lot of events out there depending on what city you’re in and how much startup events are happening in general. But there’s a lot of opportunities for you to get in front of the right people, to get feedback advice and get practice. One of the best things I think about pitch events is it gives entrepreneurs an opportunity to get up on stage, get all the nerves, get in that position of having to pitch in front of a large audience, and practice their way through it. And that practice is really just instrumental because you’re going to be in front of a potential investor if you’re pitching for funding. And if you’re pitching to a potential customer, you’re going to be in front of a potential customer, both of which have checkbooks that you want them to open. And you want to make sure that in that nervous energy that you’re going to have in those moments you’ve practice enough to really feel confident and get your message out there and be effective and engaging in your presentation. So pitch events can be a really good opportunity to practice, in addition to the opportunities of having an audience, maybe winning the event, the laurels along with that, that sort of thing. But the practice alone can be really helpful for your company.  Pitch Deck Fire loves pitch events! Hopefully that answers your question here today on how to pick a good pitch event. There’s a lot of them out there. So choosing the right one for you whether you’re attending or whether you are pitching in it can be hard to do, but I would highly recommend that you attend anyone that you want to pitch at before you pitch at it. Just make sure it’s a good fit for your company. I’m a really big fan of pitch events. I go to a ton of them. I really like them. I’m glad we have them in our startup communities because they give us an opportunity to meet people, connect, and to really practice pitching which I think is super important. Thanks so much for joining us this week. If you have any thoughts on pitch events and how to choose a good pitch event I’d love to hear about it in the comments below. And if you have any new ideas for pitch hacks we have a link down below as well. I would love to see your thoughts on that and be able to answer one of your upcoming Pitch Hack questions in a future video. We put on a new Pitch Hack every single week. So give us a little thumbs up or subscribe to find out about our upcoming Pitch Hack videos. Again, I’m Stacie with Pitch Deck Fire. I hope to see you guys here again soon. Happy pitching.